Most business and IT leaders have the right vision: to stay ahead of digital disruptors and secure a future for their companies. But, turning this vision into a reality—let alone doing so quickly and efficiently—requires careful planning and execution. 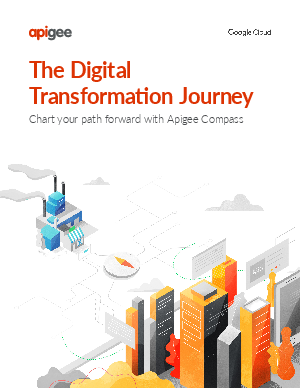 In this eBook, chart your path forward with Apigee Compass, a digital assessment tool from Google Cloud. We've gathered the lessons learned from working with hundreds of companies on their digital transformation projects including Walgreens, Pitney Bowes, Magazine Luiza, and Experian to help guide your journey.